Krk island is one of the most popular travel destinations which, besides nature beauties and cultural sights, offers its guests a variety of original dishes and drinks that allow them to “taste” Krk. 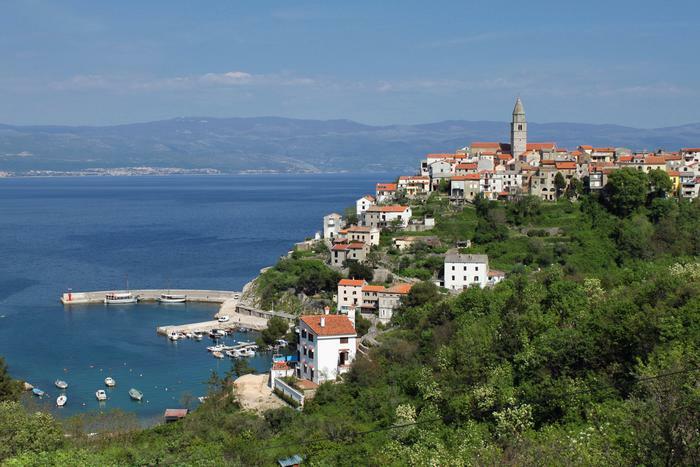 Valomet is one of the interesting enological stories of the Krk island. It is a champagne that, instead of being kept in a cellar, is kept on the sea bottom. 30 meters deep, near Vrbnik on Krk, cage-like casings with bottles of the original Vrbnik zlahtina mature into “sea champagne”. Constant temperature and pressure, darkness and peace of the sea bottom are conditions that ensure Valomet its special quality. Bottles are also something that makes this product from Krk original. The bottles were placed under the sea for several months and algae, sea weed and shells have attached to their surface. The producers decided to place them to the market as they are, so Valomet can boast with the original wine sort, production and design.